I'm not having an identity crisis as a designer. I'm just trying to work out why on earth I do what I do, and what really is my purpose… when all is said and deep-etched. I've just returned from my (what seems to be becoming a yearly) pilgrimage to New York, and I've had a few thoughts regarding the "why". 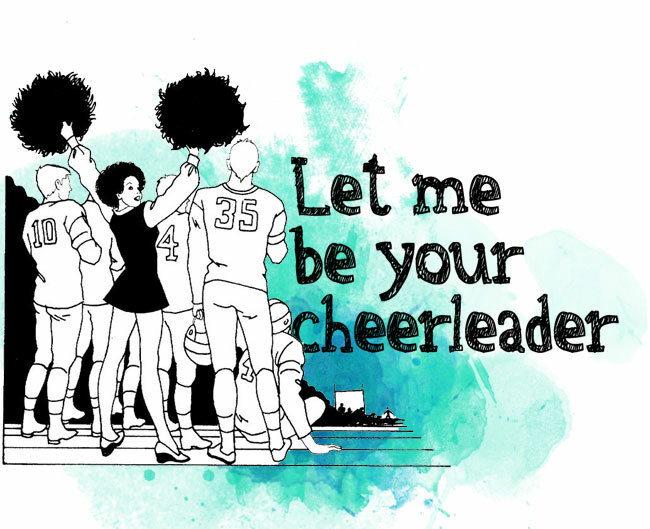 Sometimes I feel like I'm a cheerleader. I don't mean that I see myself in a very small lycra costume, wiggling my bootie and flashing my sparkly white teeth for an otherwise supposedly disengaged crowd of spectators. No. What I mean is, I feel like my role as a designer is to glorify everyone ELSE. I'm there to shine a light, bring attention to, best present and generally do all I can to ensure that they/you look as good as you can, and perform as well as you're able. We don't assume to be the main event. A good wine isn't made famous by the way the typeface is used on the label but by the taste of the grapes. A gallery or museum is not about the catalogue, it's there to give us art. People generally don't flock to the theatre or a sporting event to read the program, they want to be entertained. And as much as I'd like to think otherwise, I know that albums are purchased for their music and not for their cover art. The popularity of iTunes is proof enough of that. I get it, it's ok… it's not about me. I know. But hear this, dear client: I'm gonna jump, shout, chant and cheer for you as best I can, just because I want you to win. And if I get a little attention along the way (God knows I'll try) – I guess that's just a bonus.